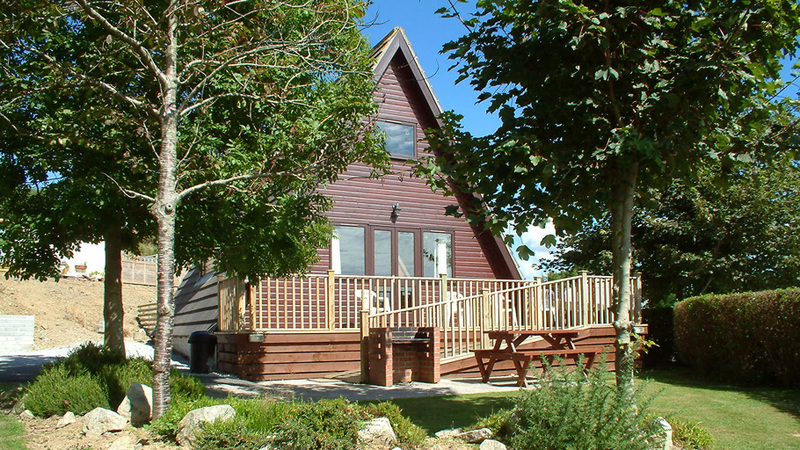 The Riverside Roseland Country Lodges, Trevilley Cabin and Roseland Chalet. Our Roseland Country Lodges, Trevilley Cabin and Roseland Chalet offer that extra special holiday. They are designed to give you all the space you need with one double and two twin bedrooms, all with full-sized beds and including all bed linen. The Roseland lodge will accommodate six people, Trevilley Cabin six people and the Roseland Chalet 7 people. Cots may be hired. 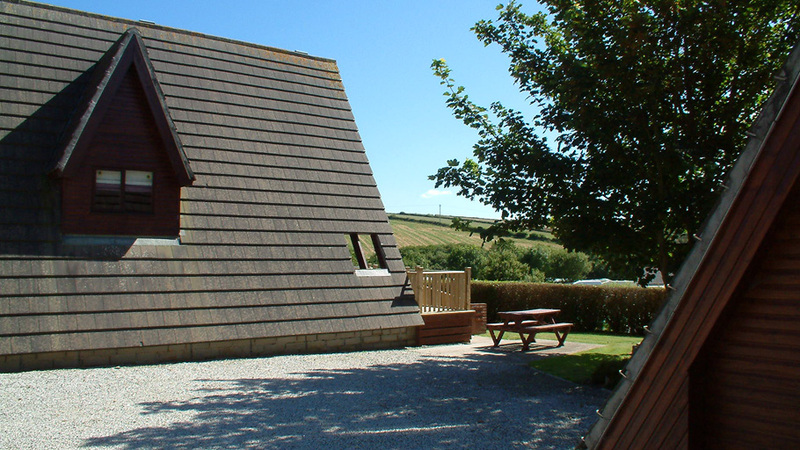 (Please bring your own cot linen and personal towels) Furnished with carpets, fixtures and fittings, every room in the Roseland country Lodge co-ordinates perfectly for a comfortable carefree holiday. Three-piece suite, colour television, dining table and six chairs, oven and hob, microwave, refrigerator. Bath, separate shower, toilet and wash-hand-basin. Fully insulated, double glazed, electrically heated and have private balcony, barbecue, car parking for two cars beside each lodge. Cots and high-chairs are available for hire (charges apply). * Please Note: We have available 3 privately owned dog friendly caravans Please see our Holiday Homes page for more information. Our Country Lodges are the latest innovation in luxury with three spacious bedrooms, lounge/dining area with a comfortable three-piece suite, table and six chairs. The full kitchen boasts a fan-assisted oven, hob and microwave. The bathroom has not only a full size bath but separate shower as well. 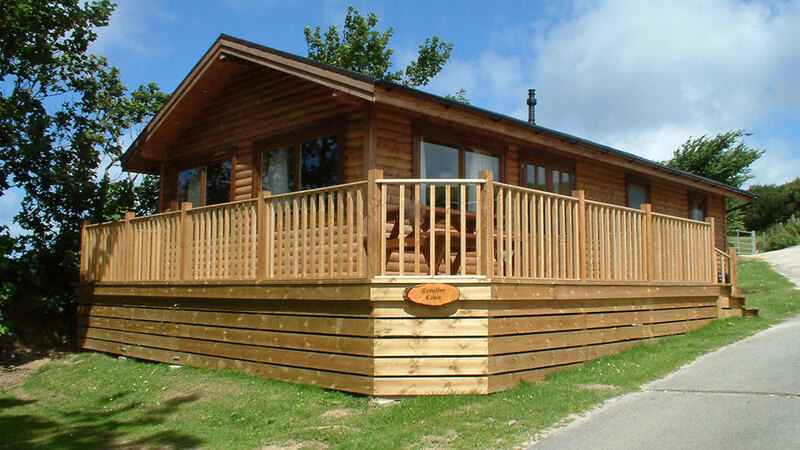 Our Country Lodges are all double glazed, heated and south facing with their own private veranda and barbecue. So why not spoil yourselves! Also available is our Roseland Chalet which is a three bed-roomed single storey twin unit, consisting of one double bedroom, one twin bedroom, one single bedroom and a double sofa bed in the lounge. It has the added benefit of full central heating and double glazing. It also has a full sized bath with enclosed shower, microwave, oven, hob and colour T.V. Trevilley Cabin, three bedrooms, luxury cabin with one double and two twin bedrooms. Bath and shower, double glazed and central heating. Open plan interior. Private veranda. S.B. denotes: Short Break 3 or 4 nights. Please refer to the Holiday Home tariff for short break (s.b.) prices. Please see price panels above. £50 off second and additional weeks on holidays of two or more weeks taken at any time of the year. Book your 2020 holiday and pay your deposit before end of September 2019 and you'll pay 2019's hire charge. Your accommodation must be paid for in full 21 days before the arrival date. Unless you notify us of late arrival, your accommodation will be held until 10.00pm on arrival date (providing full payment has been received), at which time your accommodation may be re-let. If full payment has not been received at least 7 days before the commencement of your holiday, we reserve the right to re-let the accommodation. Bookings are strictly for the person named on the booking form, any change must be notified to the management who reserve the right to cancel the booking. Only booking from families and couples are accepted and no pets of any kind are allowed. The company reserves the right to enter the accommodation. The company reserves the right to terminate any booking before or during the holiday, at its discretion. 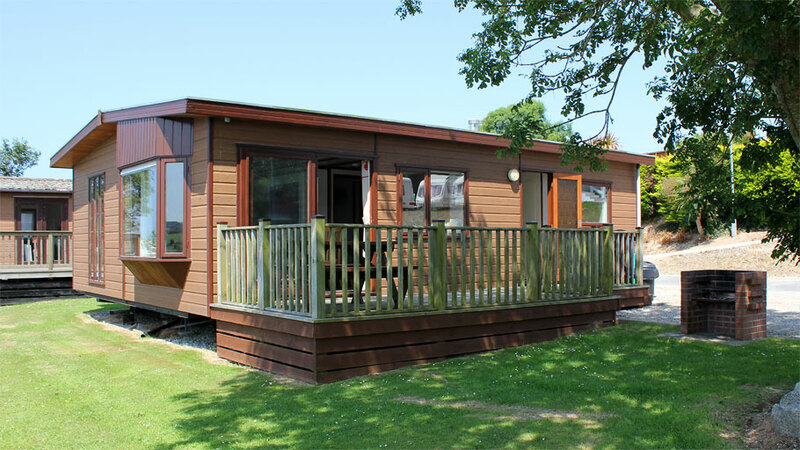 Anyone using Riverside Holiday Park and its facilities do so entirely at their own risk and we will not accept liability for the loss of, or damage to, any property. In the event of leaving early, no refunds will be made. A holiday cancellation insurance policy is offered. Bookings are from 4.00pm on the day of arrival to 10.00am on the day of departure. You are welcome to arrive earlier and use our facilities and every endeavour will be made to check you in as early as possible. The latest arrival time for your accommodation is 10.00pm unless by prior arrangement. All visitors must report to reception on arrival and the number of persons should not exceed the sleeping capacity of the unit. Swimming Pool: Our swimming pool is unattended. Children under 15 years of age must be accompanied at all times. Swimming pool rules must be adhered to at all times. Cycling: Would parents please ensure that children cycle in a sensible and courteous manner at all times. Scooters, Cycling and Skateboarding is NOT permitted after dusk. Speed: The speed limit on the site is 5 mph for all vehicles including bicycles. Electric and Petrol Scooters: The use of electric and petrol driven scooters is NOT allowed on the site at any time. Excluding mobility vehicles. Dogs: Dogs must be kept on leads at ALL times. Under no circumstances should dogs be left unattended. Kite Flying: is NOT permitted on site. Checking In and Out: Official check in time for accommodation is 4pm. Official check in for touring vans and camping is 11am. Official check out time for accommodation, touring vans and camping is 10am. 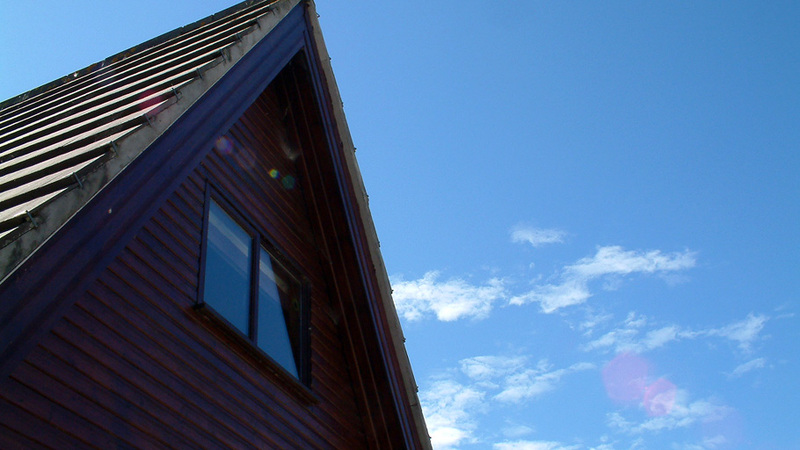 Whenever possible we shall endeavour to get you into your accommodation or onto your pitch as early as possible.